My 2016 goals worked out pretty well so I am continuing the program and posting my Amateur Radio Goals for 2017. I am starting the year with 212 total activator points. Last year I earned 211 of those. Now that I have some experience I am going to aim for earning at least 288 more points this year. My goals is to be halfway to Mountain Goat by 2018. I remember while activating Mount Baden Powell W6/CT-004 last summer someone (not a normal SOTA chaser) was asking a question and I totally lost track and everything just turned to dots and dashes. I had to have him repeat the question two or three times and I remember when I finally got it and sent the response he came back with “now ur hearing.” Not sure why that sticks in my head but I hated the feeling of loosing track. 3. Sub 1kg Activation Kit. 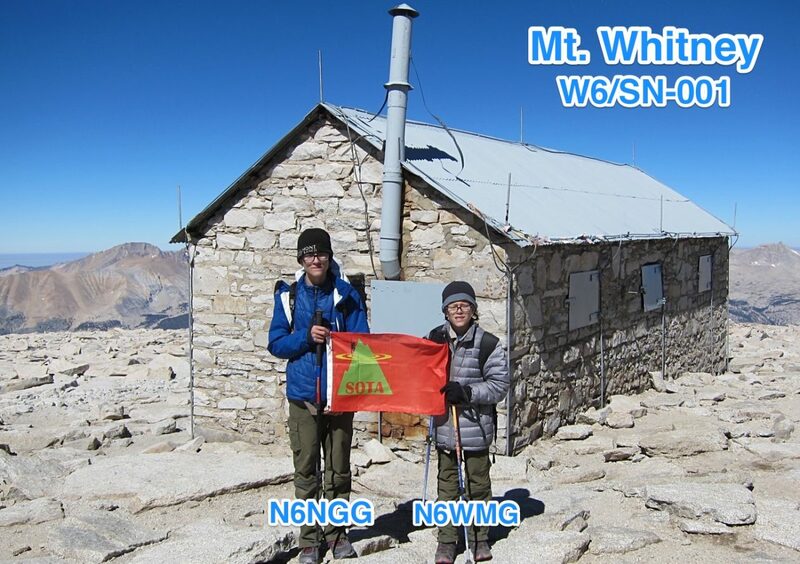 This one comes from the SOTA reflector – 1 Kilo HF challenge. I am a die hard light weight backpacker. For backpacking I have everything down to the gram with a weekend kit that hits the trail under 9 lbs before water and food. It has frustrated me how heavy radio gear is. On local peaks I’ve sometimes compensated for this by going 2-meters only. However, there are lots of peaks where 2-meters just wont cut it and you must use HF to make contacts. Now that I’ve learned CW I have switched to a Mountain Topper 5B that comes in at a scant 188g (6.6oz) for 5 HF bands. I’ve gotten my HF kit down pretty light but I am still working on refining it and would like to get a sub 1kg kit including all the radio gear for CW. Where it has gotten tricky are with things like the protective case to carry everything (12+oz) , recorder for post activation verification, spare gear, extra guy lines etc. I need to focus on my backpacking mantra: “don’t pack your fears.” It is always tough when you are new at something and not sure what to expect so you pack extras. I am comfortable I’ll achieve this though I might have to make a MYOG padded carrying case. If I can get everything light enough I can start bringing it along on my backpack trips. There are a bunch of peaks here in Southern California that are real challenges to get to. Ones that have yet to be activated or have only been done once or twice by like minded adventurers. Last year my sons and I did both Iron Mountain and Mt. Whitney. (Whitney is not all that hard but given the time and planning it takes to get there I count it as one of the tougher summits.) 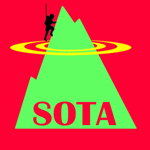 Those were great adventures and I’d like to include at least one really tough SOTA summit each year. (I’d like to do as many as I can but sometimes it is tough to rally the troops for the crazier ones.) I have my eye on a few “stretch” peaks for this coming year. I love to hike and am in good shape but as I get older and my sons get stronger I am starting to feel my age a bit more. One thing I’d like to do this year is to start trail running as a way to train for my hiking, backpacking and SOTA activating. While not specifically a radio goal, I count this as in support of my SOTA goals. I’ve never really trained per se for my outdoor adventures so I’d like to see what sort of on the trail benefits I derive from training devoted to those pursuits. I’m looking forward to working on these goals, can’t wait to see how I do. Worthy goals, each and every one of them. May you achieve them all!